After doing some closet re-vamping a couple of weeks back, I'm relieved to have my whole wardrobe looking new & cohesive again. My personal style hasn't changed too much over the years, staying within a soft and romantic color palette. 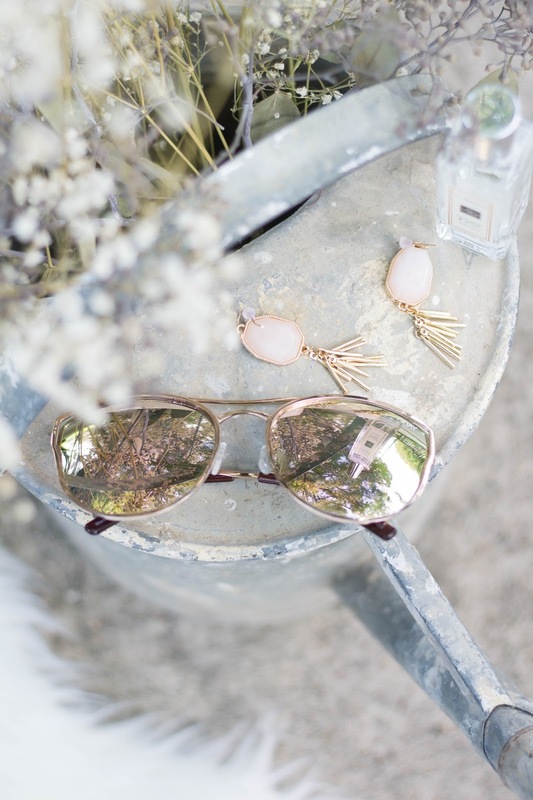 I tend to gravitate towards neutrals, mainly with shades of white and I like to incorporate soft colors of blush and mint to keep my wardrobe looking feminine and pretty. This monotone wardrobe works best for me, as each piece compliments each other and I get more wear out of my clothes. Today, I wanted to share with you some helpful tips I like to follow when shopping and creating a cohesive wardrobe. Find your favorite color palette and stick with it. 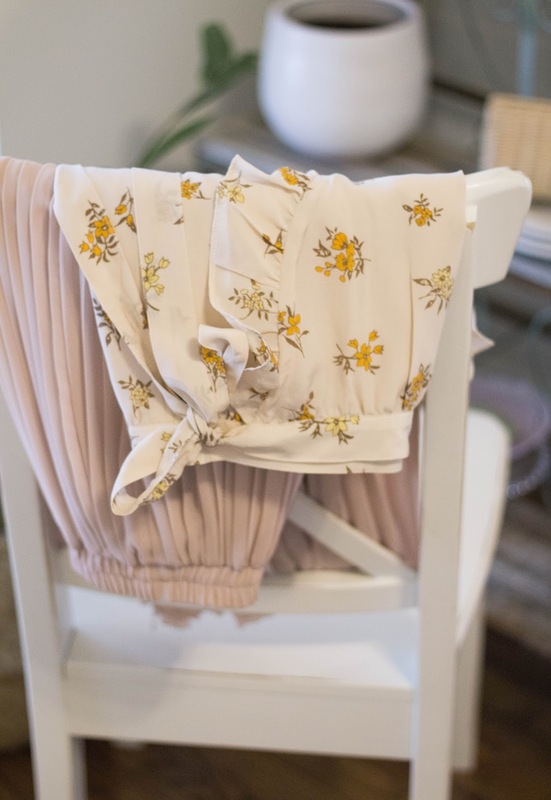 Staying within your color palette makes shopping a whole lot easier because it narrows down your choices while you're shopping or re-doing your closet. 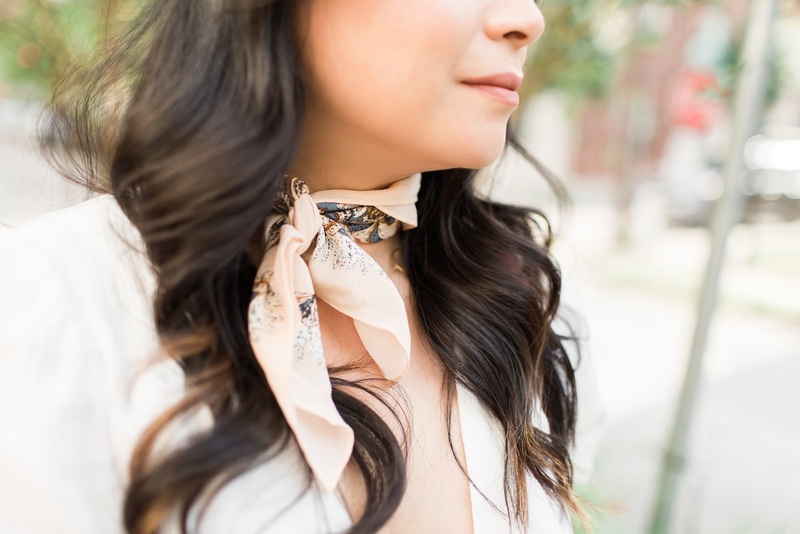 I love wearing neutrals mainly because they work interchangeably with each other and you have a clean and sophisticated collection that will carry you through the seasons. Neutrals can be shades of white, beige, grey, black, and navy. Try to find a range of colors you look and feel good in and build from there. Find inspiration from the style(s) you love the most and use them as a guideline. 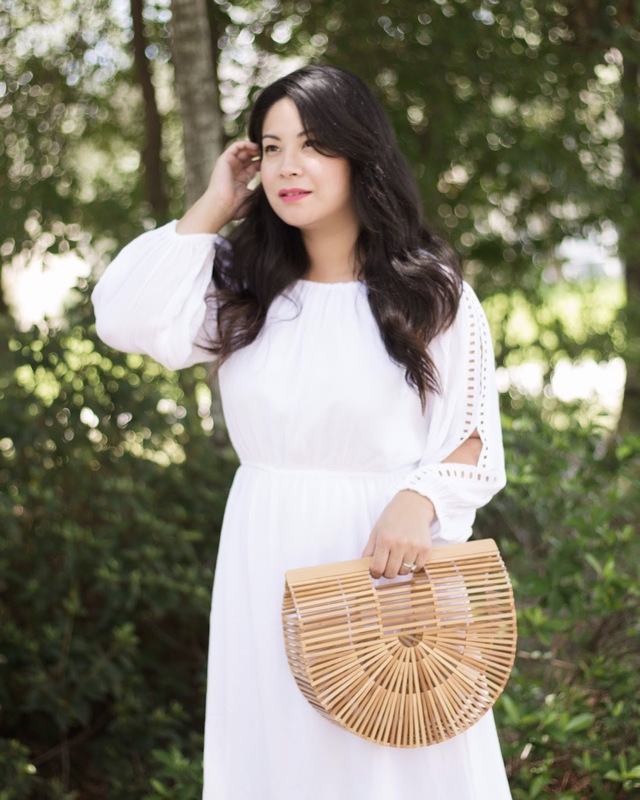 My personal style has evolved over the years with the Parisian Chic and Bohemian gal in mind. I love the effortless & classic look of the french girl and the free-spirited & ethereal romantic of the bohemian goddess. When you find the style(s) you are attracted to, do some research on them. Look at the clothing pieces that make up that style. Are the clothes fitted or flowy, are they casual or dressy? What are the pieces that make up that style (blazers, denim, etc.)? Getting to know the styles you love helps to keep you focused when finding pieces to add to your wardrobe. Patterns and texture always and always. Timeless patterns that I always like to incorporate into my wardrobe are: stripes, polka dots, lace, and subtle floral prints. These are all timeless details that will never go out of style and all work so well solo and with one another. They also add character to your wardrobe, especially for more neutral wardrobe's like mine. 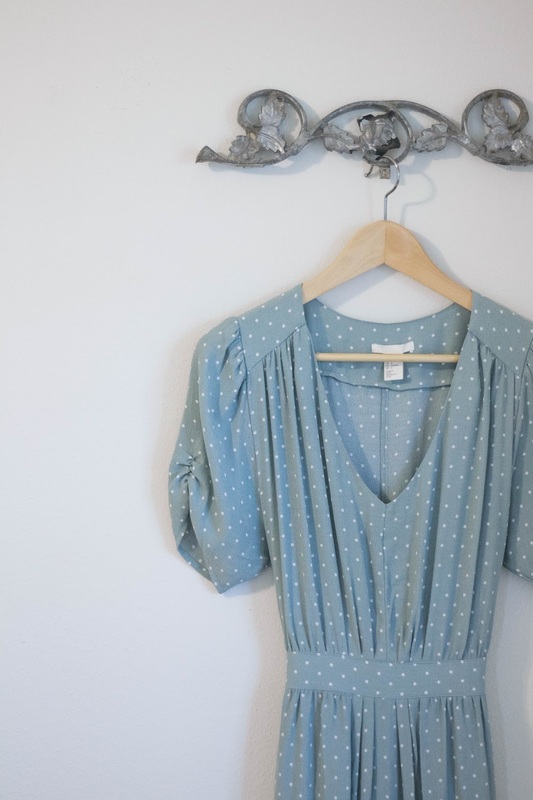 Eyelet lace and polka dots are among my favorites for it's playful and romantic quality. Find clothes that work around your lifestyle. I'm such a skirt and dresses kind of gal, but wearing fanciful attire everyday for a mom of two young kiddos just isn't ideal. Depending on your lifestyle, be thoughtful with the pieces you choose to purchase. Midi length skirts and dresses have great movement and are perfect for everyday. I also like to look for breathable fabrics that are lightweight and can be easily worn casually. 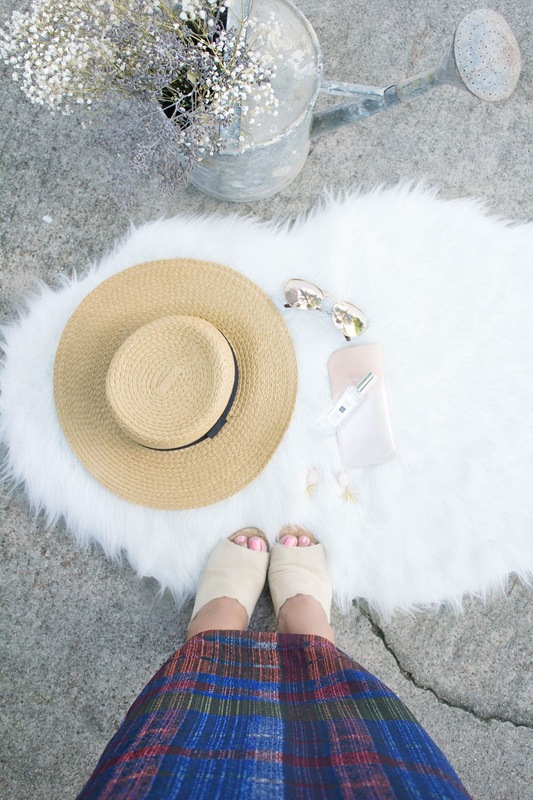 In lieu of heels, a sophisticated pair of flats or low profile heels elevate my look. I can still wear what I love, but I make clothing and accessory choices that are more practical for me on the day to day. Keeping these simple principles in mind really helps to keep my wardrobe cohesive and functional. I thankfully get good wear out of my clothes and don't mind adding a trendy or unexpected piece every now and then to spice things up. I'm pretty satisfied with my current wardrobe and look forward to building it up as the seasons change. What are some tips you like to use when creating your personal style and wardrobe? You can imagine the excitement I have when a major sale starts at one of my favorites stores! They don't seem to happen too often where you get a sale on top of a sale. So when they do, you can count that I'll be there to scoop up a few staple pieces to spruce up my wardrobe. I've been a long time fan of Madewell for their timeless and effortless brand, that works perfectly for the everyday gal. I've been trying to shy away from trendier pieces lately because I feel like my wardrobe needs a little re-vamping. I just did a major closet overhaul this week and noticed that a lot of my wardrobe was very season specific. I didn't have many clothing pieces that I could keep for the next season and that had me thinking ... I really needed to tweak my shopping habits, especially if I wanted to get the best value out of my wardrobe. 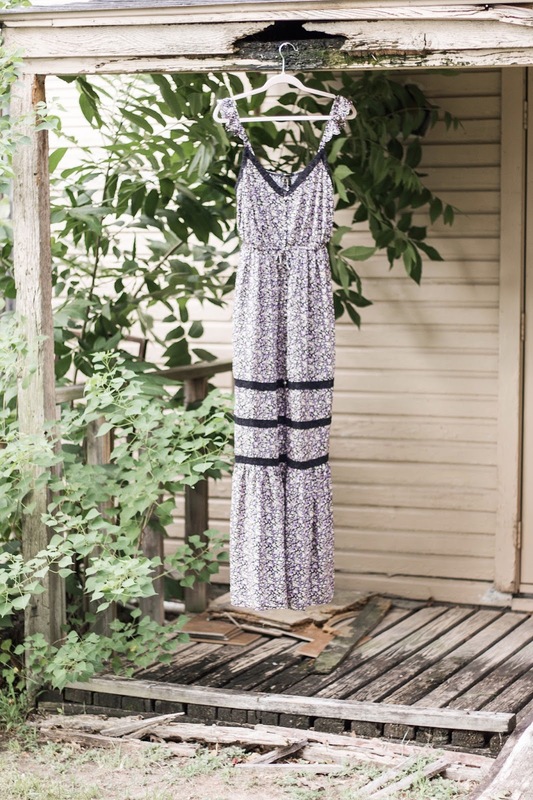 Lucky enough, Madewell is currently having an amazing sale, where all sale items are an additional 30% off. I've rounded up a collection of staples I think are definitely worth the buy and work interchangeable with one another. 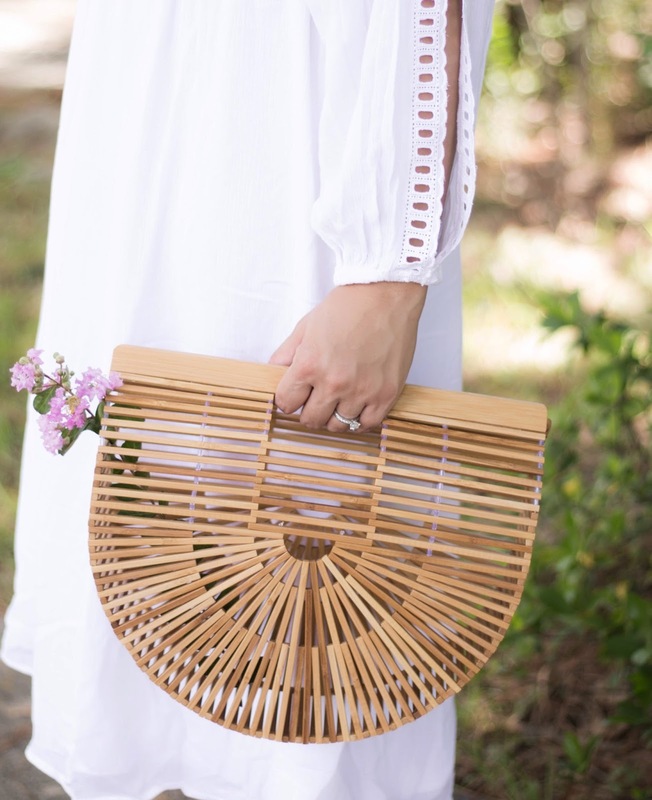 You'll notice soft colors, subtle prints, and classic stripes that we can safely say will never go out of style. I also like to look for unique details that add character to a look. All in all, I think everything below fits the bill pretty well. I've purchased quite a few items already from this list and I look forward to seeing these move forward with me into the Fall season. This sale runs through July 24th and be sure to use coupon code: THINKBIG for purchases online. The discount is automatically applied for in store purchases. I've been entertaining the idea of starting a capsule wardrobe this Fall, which is a stand alone wardrobe of 20-40 pieces (clothing & shoes). So, I think this is the best place to start collecting those special pieces. I'll be chatting more about that soon and maybe it's something you might want to give a try too! The Summer's usually surprise me when it comes to how simplified I prefer my makeup routine to be, compared to other times of the year. My skin for the most part looks pretty good during this season and when I apply foundation, it seems to look like too much for everyday. 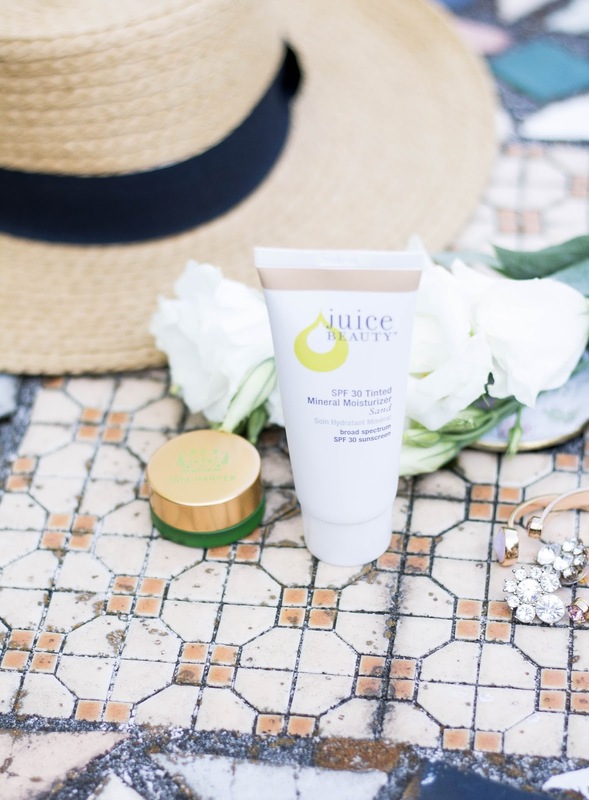 Since my recent interest to add more organic and cruelty free products into my daily makeup routine, I decided to try Juice Beauty's Tinted Moisturizer. I was reminded of this brand while searching online for organic makeup products and also from You Tuber/Blogger Kitty Cotton, who featured this product in one of her videos. She talked so highly of it, I was intrigued to give it a try. I have to say, finding the right tinted moisturizer for my skin has been quite the journey. The color, ingredients, and finish were always off, experiencing sensitivity to some of the brands that were highly raved about. Nonetheless, I was always open to trying something new because I feel that every gal should have a lighter coverage alternative to their foundation, especially for more casual days. I've been using this tinted moisturizer for about two weeks now and I have been incredibly happy with it. 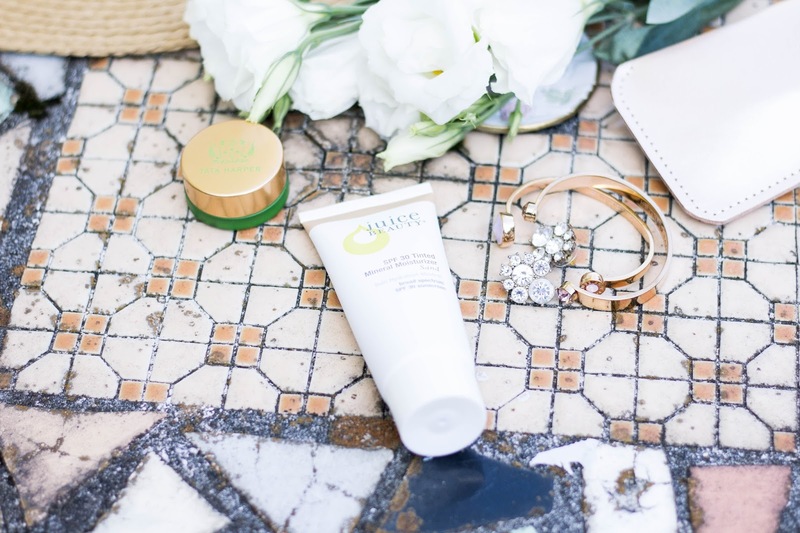 I love the natural healthy glow it gives to my complexion, which has kept me wearing this every single day since! After prepping my skin in the morning with argan oil and primer, I apply this tinted moisturizer using my fingertips, in the same way I would a moisturizer. I then blend any excess down to my neck. The formula is creamy and has a light fruit scent that goes away within a few minutes. Funny enough, I actually really like the scent, even though I typically prefer non-scented skincare & makeup products. This product comes in 4 shades here, and I purchased it in Sand, for medium skin tones. The coverage is on the sheerer side, but it graciously color corrects any redness and evens out my tone beautifully. Plus, it contains SPF30 (physical not chemical), along with the benefits of natural anti-aging ingredients of apple, grape, and aloe botanical juices. If you've followed along with me for awhile, you know I'm a fan of Dior's Capture Totale Dreamskin Cushion. 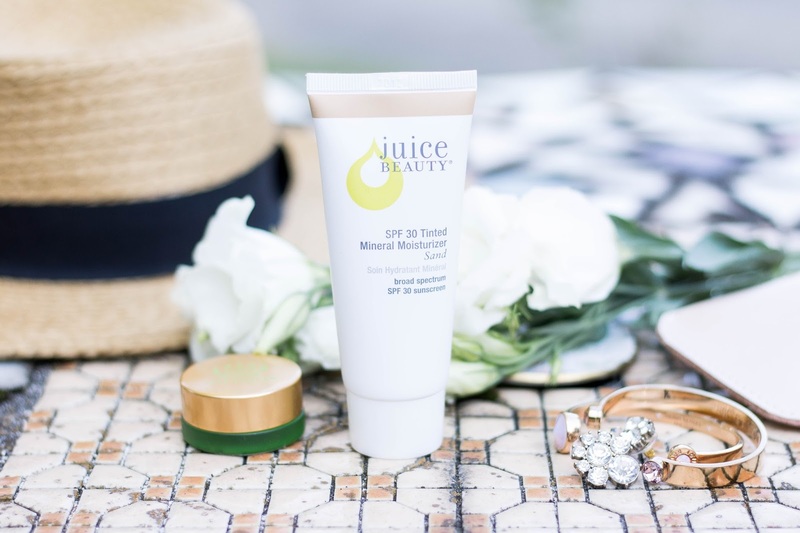 The coverage is about the same as this tinted moisturizer, except Juice Beauty uses organic ingredients and has a mineral SPF that I feel my skin much more prefers. Truly, I think it's the simplified skincare and the organic ingredients of this tinted moisturizer that are calming and keeping my complexion clear. Juice Beauty's TM with Tom Ford's Traceless Stick Foundation/Concealer under my eyes and around my nose. You can also see the rest of my current makeup routine in a previous post here. Overall, it's the gorgeous healthy glow and the "good for you" ingredients that I love most about this product! 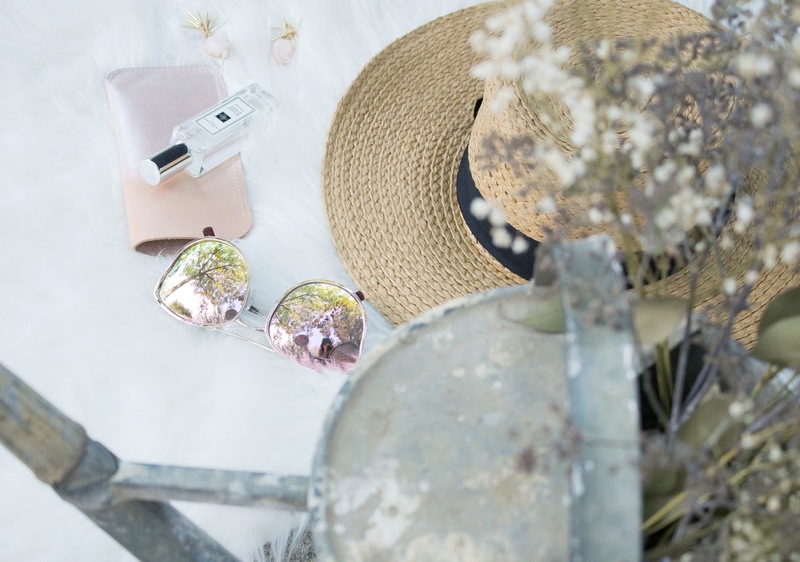 It's the perfect base for the Summer and an easy wear for the gym and days at the pool, which we're at most of time during the week. Did I mention, it's only $29! Wearing foundation everyday isn't always practical for some and it's nice to have a lighter option that keeps your skin protected, while helping show off the best version of your skin. A win, win situation I think. I'm so glad I added this to my daily makeup routine and I sure hope you give it a try! This is not a sponsored post and the content is my true & honest opinion. Saturday mornings this Summer have been spent at the Farmers Market in the charming city of Tomball. I remember spending weekends like this at flea markets in Northern California with my parents, shopping vintage finds & clothing, and picking up fresh produce. It was one of my best memories and I very much wanted to share those experiences with my kids. I love getting them involved at the Farmers Market by letting them pick their own fruits & veggies, alongside admiring the booths of their choice to checkout the many handmade, organic & farm fresh products. We then top it off with a yummy batch of baked goods and a refreshing juice bar, as we chat about all the awesome things we scored that day. Farmers Markets, including vintage shops and flea markets, are places I'm quite attached to. I enjoy being surrounded by other artisans and their many talents and feel in my element when I'm in this type of atmosphere. I used to participate in annual craft fairs during the first two years of my Etsy business, so I know the planning and hard work it takes to get your products out to the public. As a vendor, it was always a wonderful feeling connecting with others in the community and sharing our passion for shopping handmade. It's truly a friendly environment that I can keep coming back to over and over again. The past couple of Saturdays have been pretty humid, so throwing on a pair of jeans and a tee to the market wasn't as appealing as I'd hope it would be. 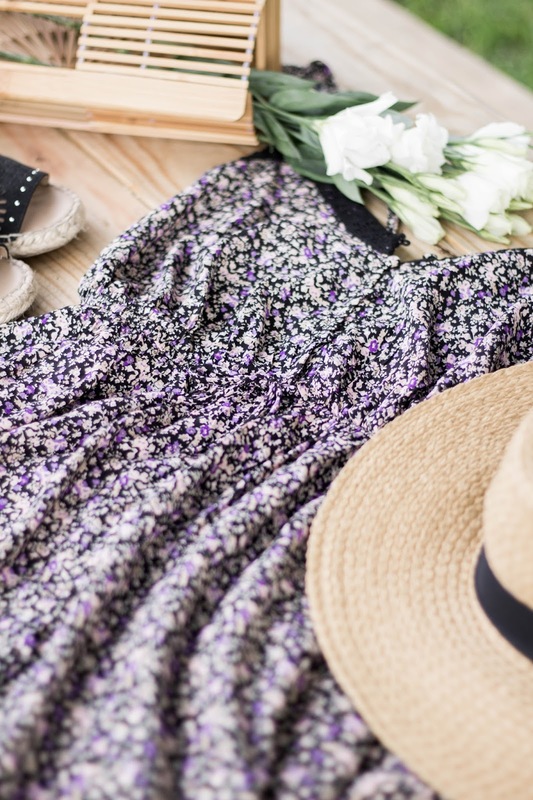 Effortless dresses with a sun hat has worked as the perfect outdoor attire for me, which I'm happy to wear anytime of the day. This dress from Forever 21 has been one of my most comfortable dresses to wear this season. The crochet lace trim and the ruffle detail on the sleeves add a pop of romance that I love and the beautiful flower print reminds me of floral motif's from the 70's. I don't typically wear lavender or shades of purple, but together with the pops of green, it adds vintage inspired character to this dress that's quite lovely. 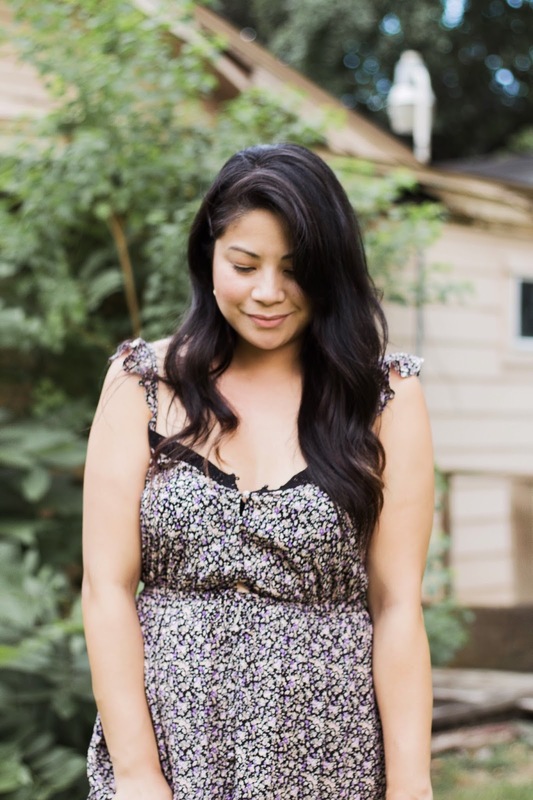 The key hole opening above the waist line and the middle slit are other features that really drew me to this dress, not to mention that it's right under $30. 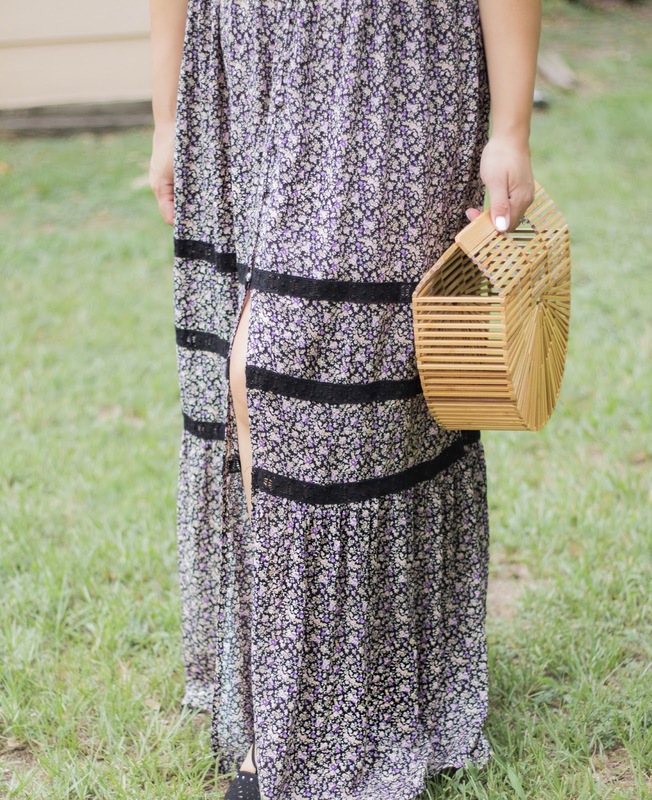 It's available in store, but I have linked similar looks and other maxi dresses to shop online. Forever 21 has been one of my favorite places to shop for dresses during the Summer. I always manage to pick up 2-3 dresses during this time of the year that I still rotate in my closet. I'm pleasantly surprised how well they've all held up over the years. Happy 4th of July friends! I hope you have fun-filled plans in store today because it's the perfect holiday to spend time at the beach or pool and enjoy some yummy food. Houston has been quite the steamy city, with a mix of Summer heat and humidity. So, I can safely say that part of my 4th will be relaxing and doing a little shopping in cool indoor spaces. Today, I wanted to share with you some random things I'll be doing today, from beauty to gardening. 1. I've been debating over the perfect patriotic look and decided to go with a simple white laced blouse and denim bottoms with a classic velvet ribbon in my hair to keep things cute & sweet, using this photo as inspiration. I'm going for "casual and relaxed" this year, getting in touch with my inner Madewell. 2. What would 4th of July be without sporting gorgeous red lips! Currently, my favorite red lipstick is NYX's soft matte lip cream in Amsterdam, here. I adore this formula and seem to wear these lip creams more often than none ... and they're only $5.99. The color Amsterdam is the perfect strawberry red, has amazing staying power, and makes your teeth shine pearly white, especially if you're going to be enjoying those yummy barbecued hot dogs and burgers. I think my mouth is watering already! 3. One of the places I seem to always go to every 4th is Ikea. It's the oddest thing that I even want to start a home project around the holiday, but I love finding new inspiration, small storage solutions, pretty trinkets, and plants for the house. I can easily buy so many things at Ikea because I love sprucing up the house, which is why my hubby takes a deep breath before the shopping begins. 4. For the first time, I'll be exploring the world of gardening today, which I'm admittedly nervous about. My mother-in-law just left for a week long vacation and left me her coveted garden of fruits, veggies, and flowers to attend to. I've never gardened in my life, but is something I've always wanted to try. If all goes well (which I'm praying for), I plan to start a little garden of my own with blueberries in small pretty containers, as I excitedly read in the June issue of Southern Living. Love this magazine so much! 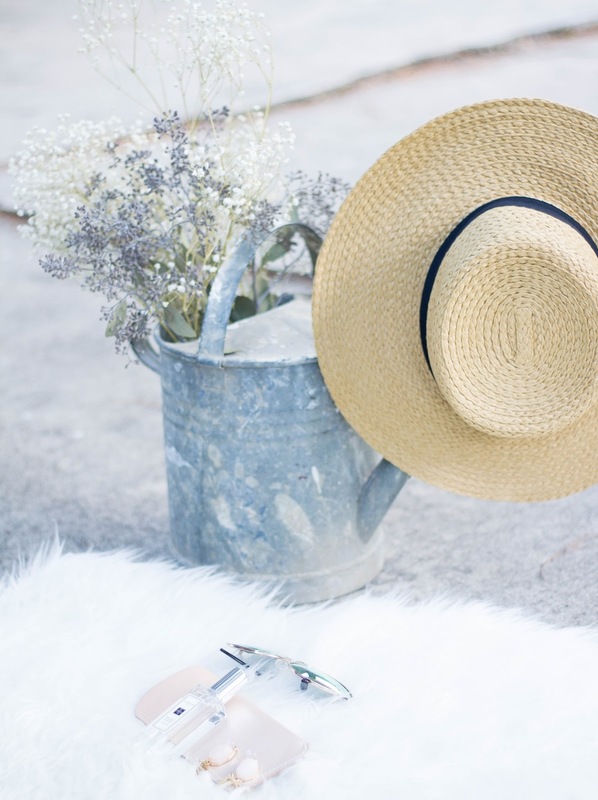 Meanwhile, my straw hat from H&M will come in handy as I garden, so wish me luck! 5. I always look forward to dessert during the 4th. Whether it's a fruit basket cake or a fresh cherry pie a la mode, Independence Day wouldn't be complete without indulging in a little sweet treat before watching a much awaited firework display. Here's a website I love for food inspiration and think you'll fall in love with every sweet treat you see from Call Me Cupcake.